I got a great question concerning the "Pre-Race Meat-Up" for T.I.V8 which will happen on Friday, April 27th starting at 4:00pm. "...the Pre-Race Meeting schedule. You said it starts at 4:00. Does that mean we need to be there at 4:00 or is that when registration opens?" "The Pre-Race is scheduled to start at 4:00pm, and I highly recommend you get there as soon after as you can. You will first check in with me. Then you will be grilling your own meal, then eating it, and then you'll have to get the bill taken care of, (which was a bottle neck last year, but we've got a better flow for this time), so in a time period of 2.5hrs, you need to have all that taken care of." So, to re-cap- The doors open at 4:00pm, check in with me as soon as possible, then, get to grilling and chilling. The Grinnell Steakhouse is going to open up four checkouts versus the one of last year, which should speed up the process of getting into the meeting room and getting started on the watching of "300 Miles of Gravel" and the meeting proper by about 6:30pm to 7:00pm Remember- You Must Check In With Guitar Ted By 6:30pm Friday April 27th, or You Will Not Be In T.I.V8. I am expecting a record number of folks this year, over the 140 that were there last year, so please be on schedule. The film will take up about a half an hour, and the meeting will be about the same length. Hopefully we can have everyone out of there by 8:00pm. I will be starting the mass e-mail to get your menu choices. These will be the same as last year, chicken, pork, beef, or vegetable kabob. Look for that to hit your in-box soon. If you hadn't heard, Specialized Bikes just launched a Euro only electric bike recently. The big deal on this was the claim that it goes 28 mph. 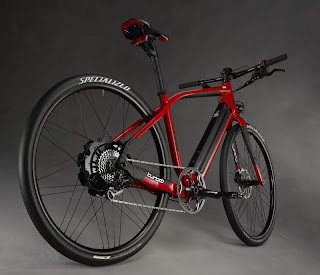 I'm not picking on Specialized here, but on electric powered bicycles in particular. These are contraptions based on bicycles with motors. You knew them as "mopeds" back in the day. Same thing now, just that the type of motor has changed is all. They failed back then in the U.S., and they will fail again here today. Here are a few reasons why that is. Because they are heavy, you'll likely need to have that electric boost, and rely on it most of the time. This pretty much kills the electric "bike" as a bicycle. Okay, so if it has a motor, and you use it most of the time because you have to since it is sooo heavy, then is it a good motorcycle. No. It isn't. So, why on earth would anyone want one of these here in the U.S.? Good question. And Specialized isn't selling theirs here. Good decision. In Europe, these make sense, because their countries are compact, things are narrower, smaller, and there are shorter distances between the places you want to get to, which all add up to a place where e-bikes make some sense. In America? Where commutes are measured in hours? Not so much. Even if you do live in an urban area, where would you feel safe riding an e-bike? You can't ride them on "non-motorized" paths, so you are stuck out in the street. Then you have the price, which is north of 5G. Ummm......you can buy a "real scooter" for half as much. One with turn signals, brake lights, and one that has a lot more range and goes faster than any e-bike. Then you have to wonder, why not just get a motorcycle proper? The "e-bike" is just weird, really. The mere fact that they focus on motor power in the marketing just devalues these as bicycles in the first place. And as far as being "green"? Yeah- whatever. Lithium-Ion battery? Gimme a break. Check it out- A real bicycle! The steel bicycle frame- it has been around since bicycles started. It is still here, and it isn't going away. Why? Well, maybe you should ride one and find out. Now- I shouldn't say just any ol' steel frame, but a good one. Ride a nice, quality tubed, well put together steel frame some time. Then you'll see why steel is sticking around as a frame material. I rode this here Breezer Lightning Pro around a bit yesterday and marveled at how smooth it felt and how springy it was. It isn't for everybody, but I like that it flexes. Yes. A bicycle should flex. You hear so much about how a frame set is "30% stiffer than our previous model", and so on. Stiffer isn't always better. Not for components, and certainly not for the rider all the time. You see this getting marketed now in the upper echelon of road cycling. Stiffness isn't held up as the pinnacle of design anymore. Not in many cases. Today you'll likely hear about a new road bike from Trek that will address this very thing- rider comfort. Funny. Carbon fiber, the wonder material, now being tuned for rider comfort. Updated: And here it is. The "Domane"
Anyway, that doesn't mean the "everyday" rider needs a carbon fiber road rocket, because steel does the job as well or better and lasts a heck of a lot longer. Just think about it. Spring just started last week, but you'd never know it by how it looks outside, and especially out in the woods. This picture is from March- not early May! Generally this level of greenery and flower is left for late April/early May. Heck, even the Bluebells are blooming! I was blown away by how fast the green stuff is taking over out in the woods right now. The other odd thing was that the woods were devoid of critters. Of course, someone had just blazed through the woods ahead of me, but even the birds were strangely less noisey yesterday. That was odd, but I needed a bit of solitude, so I actually appreciated this. The legs are coming around, but still not where I want to be coming into an event. Climbing on the single speed was "okay" yesterday, but I wasn't snapping right up those steeps. Gotta do some more work on that. The softer, loamy ground may have had something to do with that less than sharp feeling, but I know that I am not in "climbing mode" just yet. The gear on the Sawyer is also a bit tall as well. That said, I am stuck with that as long as I run The Belt. That's the thing about The Belt. Very tough to swap out cogs and belts without spending a ton of dough. So, let's say you got a fat bike, but you wanted to ride it in the summer on some lighter wheels. What to do? Well, one solution was presented to me at Frostbike by Handspun Wheels. Fat bike hubs laced to 29"er rims. So they sent out a set to have me thrash them. I'll report on that later on TNI, but for now I am tickled about how it came out.I set this all up yesterday. The bike now has a totally different look, and obviously is lighter to boot. It almost looks "normal" with these wheels on it, but one peek at the tire clearances tells you something is missing! The one thing I said going into getting this bike built up was that versatility was key. These wheels certainly open up a lot of possibilities. I can run it as is, with a suspension fork, (albeit with a different front wheel), or use the original Larry 3.8"er as a "fat front" set up. But that isn't all. I can also single speed this bike. Added into all of this is the bikepacking/touring capabilities, and then it becomes very apparent that I could ditch a lot of my bicycles for this, singular titanium beauty. Wheels swapped = Much Better Now! Then there were the issues I had with a certain less than stiff wheel set on the Titus Rockstar. Well, I nipped that in the bud yesterday as well. I popped off the American Classic/WTB Frequency wheels from the MBC single speed, put the MBC single speed wheels back on that, and then went to work on the Rockstar. The hub needed a swap from a quick release axle to a 15QR type, so I did that. Then the rotors and finally swapping over the cassette. Result? Unbelievably stiffer wheels. Night and day difference from the way it was sent out. Now I can not wait to see how it does on some trails around here. The WTB Bronson tires, which are listed as 2.2"ers, but have a tread width of a 2.4"er, still leave plenty of clearance in the back of this frame. That was a concern going into the swap, but I am happy to see it has plenty of room to spare. I'm a little bummed that this didn't get sorted before I went to El Paso, but oh well. At least it got sorted! Then I swapped tires on the new Fargo. I got this frame and fork last fall, and I love how it feels and rides on single track. The tires I had on it were Specialized Ground Control tires, which were great. I now have some Michelin Wild race'r tires on it, which it seems have taken forever to become available, but they are now. These are tubeless ready type tires, so they went on some Velocity Blunt SL wheels and aired up nicely. These tires have some lowish knobs and a squared off profile. Kind of an odd look, but they are supposed to be fast on hard pack. We'll have to wait a bit to see, since things are still pretty loamy out there just now. So there were a bunch of springtime changes going on yesterday, and I spent most of the afternoon in the Lab futzing and fettling with bicycles. Not a bad way to spend a day. Gotta keep the fleet running! Okay everyone. 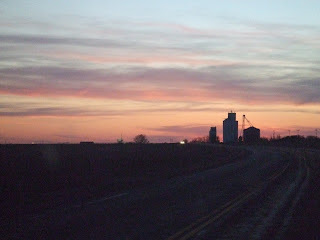 A little Trans Iowa business to attend to on the blog today. Last weekend I did the cue sheet verification drive with Wally and George's excellent assistance. (Thanks guys!) Together we made up "The Checking Crew" and what we found was good on many fronts and very important on another. Roads were a bit "peanut buttery" in some places. Course Report: Obviously, most Trans Iowa freaks will want to know about how the roads are looking. Well, in a word: "fast". The winter was quite gentle on the gravels of Iowa. We did not see any evidence at all of frost heaves or soft patches due to frost damage. The roads, for the most part, were in good to excellent shape. We have had several days of fine, soaking showers and rains leading up to our course check. With the combination of the very dry soils and good road conditions, this didn't seem to be much of an issue, except around Grinnell itself. 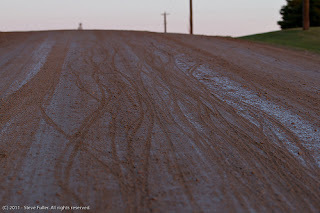 As riders last year will recall, the roads were layered with a "peanut butter" like consistency of mud at the beginning of the event. Expect the same thing if rain comes within a few days of T.I.V8. In other places the roads were incredibly dry for having just been rained on. We were actually still kicking up a fair amount of dust. White-ish gravel, fast, two laned, better than pavement riding was seen for miles. The only things mitigating this were the few places where we saw maintenance done. Big, chunky, loose gravel patches were common. Only a few of the roads showed evidence of grading, so before ya'all get yer hopes up, I suspect that by T.I.V8 time, we'll be seeing a different consistency to the gravel in lots of places. Checkpoint News: Those that have been following the details on T.I.V8 already know that Checkpoint #1 is at 52 miles and must be reached by 9:30 am Saturday morning. Now I have details on the next checkpoints and a bit of a change we came up with last weekend for naming them. Checkpoint #1 will now be officially known as "Checkpoint Alpha". The second will be "Checkpoint Bravo". Checkpoint Bravo will be a remote checkpoint with zero services, just like last year. The volunteers will be the same, Wally and George, so be sure to be nice to them! The distance to Checkpoint Bravo is 172miles and it must be reached by 9:30pm Saturday night. Keep in mind that if you arrive even one minute late, it is too late. No exceptions! Finally, there will be another checkpoint, but this one will be quite different. It is a "secret checkpoint" that we're calling "Checkpoint Charlie". This checkpoint will only serve me as a way to know who is where on course and to help plan the finish line set up so we are not caught short handed in case someone gets way ahead of schedule. For you, the riders, Checkpoint Charlie will be a surprise, but we think you'll appreciate what you find. Where is it? Well. it will come after Checkpoint Bravo, but well before the finish. Umm.....there will be a change in plans! Course Re-route: We found a few minor mistakes on the cues, things misnamed, one mileage cue mismarked, and a couple of things that should have been mentioned from a safety standpoint that were not. No big deals. However; we did find a road closure, so this was a major deal! Essentially, we had to add a bit of distance to get around this obstacle. So that added about 1.3 miles to Trans Iowa V8 to up the total to approximately 327.8 miles. You'll still have till 2pm Sunday to finish. One other detail about the course to note that is of import to the racers. The number of miles of B Maintenance road. It breaks down like this: One mile of what I would call "typical B Maintenance Road" exists in the first sector to Checkpoint Alpha. It is hilly, no real ditch, and you'll likely have to walk it if things are wet. We did not drive this section of B Maintenance. The next mile is a difficult, very steep B Maintenance road sector of one mile in length with a low water crossing. This comes after Checkpoint Alpha. I had thought to take this out of the course early on in recon last fall, but with the dry-ish winter, and so far, lower rainfall totals this spring, I am leaving it in. This shouldn't have any water across the road right now, but we did not drive this section. It will get checked before the event, and a reroute that does not add any mileage is available in case I need to do a reroute at the last minute. The next mile of B Road is also after Checkpoint Alpha and is a dead flat, easy B Road. We drove it, although it was wet. This should not present a problem unless it is actually raining the day of Trans Iowa. Originally I had planned not to have any B Maintenance sectors after this, but one surprise of the course check was another 3/4's mile sector of B Maintenance road found within the final 20 miles of T.I.V8. This was the only part I hadn't laid eyes on before this past weekend. It was an easy sector by bike, but we almost did get stuck in it with the car! If it rains just prior to, or during T.I.V8, this will be a walking section. The Checking Crew was pretty impressed with the course. Wally and George kept remarking how hard the hills looked to them, but after awhile, I noticed that they quit saying much about them. Why? Because there are so many. Yes- there are dead flat sectors in T.I.V8. Places where you can relax a bit, given that there is no wind to fight. However; the hills come at regular intervals all throughout the course, so be prepared to deal with them. Total elevation gain is 12,825 feet by Waly's Garmin device, so get those legs ready folks! Misc. : Volunteer corps are looking good! Thanks to all who have stepped up in the past week or so. We look to have Checkpoint Alpha taken care of, but we might need a body or two yet at the finish line. Riders in Trans Iowa should look for an e-mail soon concerning meal choices at the Grinnell Steakhouse. We will be planning to show "300 Miles of Gravel", the story of Trans Iowa V7, just before the pre-race meeting and after our meals. This film by Jeff Frings is 99% finished, and should be a go for the Meat-Up. You'll definitely want to see this! Finally, if you look to not be coming to Trans Iowa, it is very important that you let me know ASAP. E-mail me at g.ted.productions@gmail.com. Last week I received a nice package from Clement Pneumatics and inside were three sets of sweet Clement rubber products in the form of the USH Adventure, the X'Plor MSO, and the Strada LLG Road. The Strada LLG tires will eventually see duty on my Lejeune, which I need to finish the wheel build on. The USH Adventure tires will likely go on a single speed gravel bike I have plans to hatch. It'll only take a bit of parts swapping to get there. The X'Plor MSO tires are already mounted and being ridden. The MSO's went directly to my "Orange Crush" Black Mountain Cycles rig. The wheels are Velocity A-23's. The MSO tires measured out at 38.1mm initially upon installation at 50psi. The tires have stretched to an even 39mm after a few rides at the same pressure. (Note: Minimum rated pressure on the MSO is 50psi.) To me, that's acceptable. If I were to run at the higher pressure ranges for this tire, I would likely see more stretch and the advertised 40mm width easily. I am not that interested in running these at higher pressures though. I'll get back to the reasons for that in a minute. The Clement tires feel like higher end tires in the hand. The beads are uniform and the casings look to be of high quality. Perhaps a bit stiff, but if memory serves, there is a puncture protection belt in the MSO. (These are so new, they are not even on the site yet, so I am running on memory here.) I do know that being an adventure tire, Clement wanted to have a beefier casing than a pavement only tire. Okay, so I pulled off the IRC 42mm tires, weighed those, and they were 10 grams heavier a piece than the MSO tires. Then I mounted the MSO tires up to find a nice, tallish, "C" crowned shape to the casing profile. The knob pattern seems to be a mix of polygonal and hexagonal shapes with a tightly packed center tread area and outer knobs arranged in terraced rows. The outermost knobs are longer and bigger to handle extreme cornering angles, apparently. The ride of the MSO tires changed a bit after a few rides to become simply heavenly on rougher surfaces. The MSO damps vibrations to a degree. For example, I rode a bit on some diamond ground pavement that was being prepped for asphalting, and the MSO made it seem like chip seal. Grassy areas, smother dirt, and cobby dried up mud were also noticeable smoother with this tire. On paved surfaces, you do notice a slight bit of rolling resistance, but this isn't a pavement only tire. For what it is, the feel on pavement is totally acceptable. In fact, it corners really well on pavement, and the rougher the road, the better this tire becomes. Commuters and touring folk may want to check this tire out. That said, those going on multiple surfaces, on or off road, will appreciate this tire the most. It's on gravel, smooth dirt, and grassy two tracks where this tire just really comes into its own. The Clement X'Plor MSO strikes me as a very well made, high performance tire for all surfaces short of true off road mountain biking. (Maybe even on some buff single track it would even be a star though.) The casing is straight and true, the tread is laid up perfectly on that casing, and the sum of these parts add up to a grippy, nicely damped ride on rougher surfaces, gravel, and smoother dirt. Weight weenies may be turned off by the 500 plus gram figure of these big tires, but it does have quite a bit of tread being slung around on that casing, and those tread blocks do buy you some traction. You'll have to decide whether or not that is worth it to you and your riding. Yesterday was my last full day off work/normal schedule. It has been a fantastic two weeks off. I'll be going into work where things have gone haywire since my vacation started, and I know it's going to be a pressure cooker, but I'll be ready. Sunday I got out and did a nice country ride to get my legs back under me. Last week I spent hours upon hours in a car and traveled well over 2000 miles in automobiles. That doesn't bode well for your cycling fitness, let me tell ya! It was a tough outing to start out with. Wind outta the Northeast and me going north on a course mostly uphill. I struggled more than I would have liked to. That all got much better as I turned out of the head wind and put it at my back for the trip back home. The Black Mountain Cycles Monster Cross bike is just doing really great. I do like the way it rides, and although nothing is perfect, this bike would be hard to improve upon. Little tweaks I've made are shining through for me, not the least of which are the new Clement X'plor MSO tires. Smoove. Now I need to make some little improvements in me! I have a ride coming up in a couple weeks I need to be ready for, and lots of testing to get on with. Parts need installing, wheels need building, and my lawn needs to be mown. By the way, Trans Iowa news is coming based upon this past weekend's course checking. Look for all that later in the week. Yesterday I went on a 300 plus mile check of the Trans Iowa V8 cue sheets against the course. This was a bit different since I had two cohorts with me, Wally and George, who were over from Illinois to assist in seeing that everything made sense. Three sets of eyes and three minds to double check things with means a better set of cue sheets. Anyway, Wally was doing the driving, which meant that I was left to see to it that I got a lot more shots of barns. Here we go with another installment of "Barns For Jason". A full recon report will be posted soon. Stay tuned! I got a box yesterday, and I cracked it open to find, to my surprise, three sets of new Clement rubber. Clement, a vintage name known best for the old tubular tires they made back in the day for high end racing, has been revived again and is setting out to become a force in not only road riding, but cyclo-cross, adventure riding, and yes, gravel grinder events. In fact, if what I overheard at Frostbike this past February is true, a couple of former Trans Iowa winners had a hand in developing one of the newest tread designs aimed at gravel grinders and adventure riding. The USH Adventure- A 700 x 35 mm file tread tire with a firm center ridge. Perfect for dirt roads, touring, and urban assault. Will fit on your cyclocross bike, commuter, or touring rig. The "X-Plor MSO" So new, it isn't even on Clement's site yet! This is the one rumored to have some gravel grinder's input, and I believe it does. It looks like no other tread pattern I've ever seen with tightly grouped, micro-block/knobs all over. The tire is listed as a 40mm wide tire. Okay, I'm out doing cue sheet verification today. Stay tuned for a report soon. Competition Improves The Breed: Yesterday SRAM released details on a new, light weight, four piston brake caliper and new lever aimed at "trail" riders. (Interpretation: "regular mountain bikers") The details can be seen here. Interestingly, many riders seem to be poo-pooing SRAM for "playing catch up" to Shimano's XTR Trail brakes. I say it's just good competition. SRAM is also doing a similar rear derailleur clutch as Shimano for the rear cage to help prevent tossed chains on 1X and 2X set ups. This is just all good stuff for riders whether you use Shimano or SRAM and no matter who was "first" and who is "copying" whom. 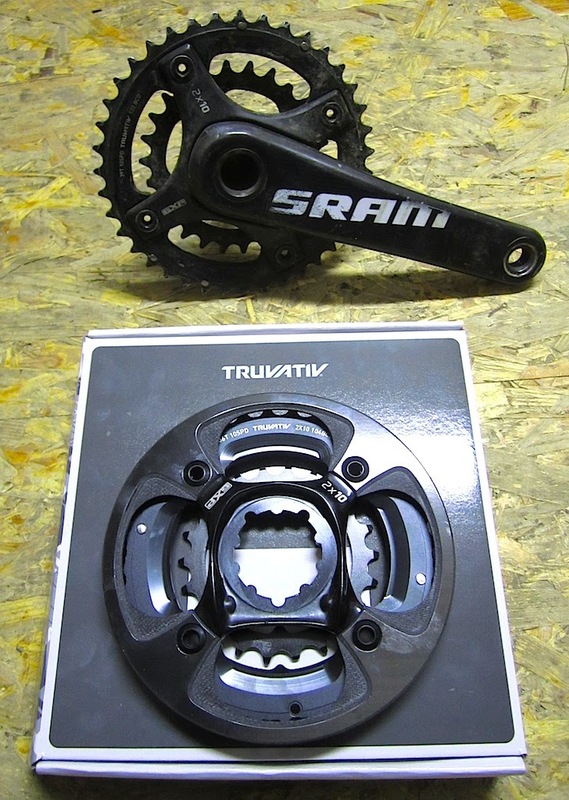 Now what I'd like to see is SRAM do something to address their less than stellar modulation. It is "okay", but if you've used Magura, Hope, or Shimano's latest Ice Tech brakes, you know SRAM isn't really that good in this department. You gotta hand it to SRAM though, they have pushed Shimano to be better, and now it would seem the favor has been returned. The winners in all of this are the riders who get to benefit from the competition and the better products they have produced. Sea Otter is usually SRAM's big stage to introduce the newest technologies they have been working on. I expect this Sea Otter to be rather interesting. Twenty Nine Inches will have a representative there, so any news coming from Sea Otter that shakes my world will get covered here as well. Pre-Race Meat-Up Details: Yesterday I traveled to Grinnell, Iowa, the site for the start of T.I.V8, and sewed up details for the Pre-Race Meat-Up to be held at the Grinnell Steakhouse. The event will be mandatory for Trans Iowa racers. On April 27th, starting at 4pm, the doors to the Pre-Race Meat-Up will open and riders can check in with me, get started grillin' their grub, and chatting with fellow racers. Eat up quick because by 6:30pm we'll be wrapping things up in the dining area and retiring to the meeting room for a showing of the film, "300 Miles of Gravel" by Jeff Frings. The film is about a half an hour in length, so by 7:30-ish we'll be starting a brief Pre-Race meeting and then Rider Call Up will end the gathering, after which you'll be free to bug out. I expect that to end about 8:00-ish. Eating should be done by 6:30pm- No rider check ins after this time! If you miss the check in, you do not race. At 7:00pm there will be a brief welcome, introductions, and then the showing of the film, "300 Miles of Gravel" by Jeff Frings. 7:30-ish: Pre Race details and Rider Call Up. 8:00-ish Pre-Race Meat-Up will end. Then there will be an Oakley Swap Special at Bikes To You located at 921 Broad Street, (where T.I.V8 will start) which will go on until 10pm Friday night. The shop is also a great place to pick up any last minute essentials you may have forgotten to bring like tubes, patch kits, derailluer cables, etc. I'll have more on this at a later date. Okay folks, that's it for today. Have a great weekend and ride yer bikes! Today I am going to focus the blog on several developments concerning Trans Iowa V8, a mere 36 days away now. Volunteers: I have a small batch of volunteers that have already asked to help, but I could use a few more. Specifically, I am thinking about the finish line, and also at the beginning of the event. I also could use a few more hands at the first checkpoint. If anything sounds interesting, let me know. Remember, being a volunteer at T.I.V8 gets you one free entry to any future Trans Iowas. Just hit me with an e-mail if this sounds like fun to you. Details: Today I will be going to meet with my liaison at the Grinnell Chamber of Commerce, Sheryl Parmely, concerning the details of the Pre-Race Meat-Up and film project showing. Hopefully some finalization of these details can be achieved so that I can disseminate the information to all you T.I.V8 freaks out there. Cue Sheet Reckoning: Looking back at last year, one of the major snafus was the cue sheets. County signage, being what it is, can be terribly confusing. This led to less than stellar results since our cues last year were not double checked against reality. Once everything is verified, I will get the cues printed and collated into nice little bundles for the racers. Then, baring the aforementioned natural disasters, the only reason a rider will get off track is due to rider error. And yes- exactly that will happen out there on several occasions. Even with perfectly executed cues, there will still be people getting lost . I can't help that. Remember: You Are Responsible For Yourself. Course Report: Of course, this will all provide the perfect opportunity for a full course report. I will have images and words to go with those next week. We had a super mild winter, little snow to speak of, and an early spring. Rain has only recently hit us with any significance. I can not say what the weather will be like in 36 days, but we've been consistently warmer and drier for the last six months than normal. For instance, it is already in the 70's and humid here in March. April may reverse this trend, but we'll have to wait and see. Drop Outs: We haven't had many drops for T.I.V8, and if the trend continues, we'll have a record field this year. However; I understand that things can and do happen to good intentioned folks. Cool. Just let me know by contacting me by e-mail and letting me know you can't line up at T.I.V8. It makes a big difference to me both in terms of work and money spent. I'd appreciate it a bunch. Okay, look for any updates here or on the Trans Iowa site soon. For more information on Trans Iowa history and the story behind this event, see the Trans Iowa History site. East of Las Cruces, NM. "The best part of a trip is walking through the door at home when it is over." Yep, there sure is a certain satisfaction to be walking through that door at home once you've been away for awhile, isn't there? My Mom sure nailed that one, and ever since I heard her say that, I've taken it to heart. The going is great, but having somewhere to come home to is pretty dang sweet too. Maybe it is the best part. Wet, dreary, windy, and cold. Once again, it was 30 degrees when we left Southwestern Kansas, and it was 70 degrees when we pulled up to the front of the house back in Iowa. I opened the door of our vehicle and was immediately embraced by the warm dampness of the air. Wow! Was that a shocker after being in arid climates for over a week, and much cooler temps the past few days. Weird. I had to come North to get that. At any rate, the scene is sure different here since I left. Glad to be back. Now for a few days of kickin' back and relaxing here in Iowa before I wade back into the full on "regular routine" of shop rat, writer, tester, father, and husband all at the same time. Oh yeah! And this blog should shape back up into the regular bicycle oriented spew that you regular readers have come to expect outta me. I apologize for the past week plus in the "change of scenery", but that's all over with for awhile. Well, not much to say other than that this weather continues to amaze. It snowed in El Paso right after we left, and it was coldest down south. Mostly 30's down there, until we got to Kansas where it was 55 degrees. Other than that it was a delightfully uneventful first day of travel. The winds I had feared were all at our back. The weather was calm otherwise. Couldn't have been much better for us so far. Now I'll trade the earth tones, sparse vegetation, and rocks for canopied dirt trails, occasional mud, and bugs. It looks as though I may have to wait to actually ride since it rained back at home yesterday and maybe raining there today as well. I am looking forward to getting back to normalcy. Not that vacations are a bad thing, mind you. I actually did do a pretty good job of disengaging from the usual while I was gone. Minimal Facebooking, (almost none), and no Twitter, with only my Twenty Nine Inches posting and this blog to keep me on the innerwebs for a week. I'd be doing the blog anyway, so no big deal there. It started in during my St. Paddy's Day ride, (see previous post), and it intensified during the afternoon. Sunday dawned and it got even worse. The dust in the wind, that is. Winds were kicking up at about 40mph consistently with higher gusts, some reaching 60mph. Yeah, that'll send the sand from Mexico straight to the New Mexican mountains in a hurry, but first, it has to go straight through El Paso. I'd been down here once before coming in on the tail end of a dust storm, but this time I got to experience the whole enchilada. I'll say one thing, standing indoors looking out it appears all the world like a snow storm in a different color. Outdoors is a different story. Of course, it is a lot warmer than a snow storm would be. 60's in fact, and it also is grittier. It gets into your lungs, and your mouth, and, well.......I'm sure you can imagine the rest. The wind is set to die down somewhat today. That's good news, as we are bugging outta here. At least it is a tail wind. The only worries are the mountain pass and the I-40 approach to Tucumcari, New Mexico. Both spots known for turbulent wind gusts that play havoc with vehicles. We'll be sure to be careful. It'll be good to be headed back home, but I'll miss riding down here and my relatives, of course, until next time. I just hope it isn't quite so dusty and windy when we are back again. But, I can not complain. One day of "bad" weather out of a week of what otherwise were picture perfect days is no big deal. Especially when we all got to do what we came here for with no hindrances. More from the road back tomorrow. I had time for one more ride, and I had a single speed, and I didn't want to walk more than I rode. This presented a problem with the Franklin Mountain State Park's west unit which, as I have often said, is a really tough ride. I had also been looking at doing some other trails in the El Paso area. This pretty much meant going to the east side of the mountains I usually ride on. The State Park lands actually reach over to this area, and there are some other grounds which riders can go on. I looked up some quick directions on the inner-web-o-sphere and kitted up. I found the place easily enough and much to my surprise, there was only one spot open in the lot to park in. Cyclists were everywhere. Weird. I never see anyone on the western slopes. What's more, everyone I met was kind and helpful if I needed it. A bit friendlier look on this side. In fact a man in a Toyota truck was nice enough to reinforce my chosen route by describing it for me. He was very encouraging. I hit the trails but I was really nerved up and excited. This typically happens when I ride something for the first time and it sends my heart rate into a tizzy. I had to stop a few times on the initial climb just to try and settle my nerves. Once I got myself calmed down, it was great. I found the trails to have far less of the chunder and bed rock that the west side has. In fact, the trails were nicely burned in over here. I headed up the Tin Mine Road Trail first and that was a steady climb back towards the mountains ahead. I would be looking for a right hander to take me north and then back eastward to make a loop out of the ride. That's not to say this loop was easy. Oh no! There were some deep, gravelly spots, chunky rock sections, and loose rock to negotiate. Of course, any miscues would be paid for in blood and bruises here as well. The landscape is still as unforgiving on the east side as it is on the west side, just more flowy and less technical. I was liking this style of trail a lot more though, and it suited the single speed to a "T". The Milwaukee Bike 29"er was dialed for this sort of trail system, and the new wheel set consisting of WTB Frequency rims and American Classic hubs was light years better than the other bike's wheel set. Far stiffer and tracking was super predictable. The big surprise was the Bronson TCS tires which gripped like wolverines out there. (Wait a minute! WTB has a tire named Wolverine, right? Oh well....) Anyway, I was expecting the Bronson tires to really be squishy and snap and pop on off cambers with those bendy side knobs, but the grip was outstanding. The pea gravel washes and deeper gravel showed a tendency for the Bronsons to float up on top instead of cutting in, so you had to be ready to "surf" a bit, but it is better than washing out too. That's where all that snow riding came in handy there! Well, it was a ton of fun but too short lived. I had to get back so my wife and daughter could do some planned shopping time together. Part of vacation with the family, ya know. But I'll be back over on this side again next time I am back for sure. Okay folks, short and sweet posts are ahead as I will be coming back this coming week and will have a few days in Iowa to kick back and enjoy before going back to the grindstone. What most of the "trail" looks like here. Okay, first things first- I didn't crash on the rocks. No split open knee, no skin lost today. In other good news: I got to ride in the desert again, and I was outside, in a beautiful area. But there were a few mitigating factors. One was the wheel set I had on this bike. Oh my! Ya know, if ya can't say anything good about something, you probably shouldn't say anything at all, right? Well, I won't be saying anything about those wheels and they will be replaced as soon as I get home. That probably says enough right there! Then the seat post head came loose. This may have been an oversight on my part, but the tricky arrows that need to be aligned, of which there are three, were not all obvious. One, (yes, the hard to notice one), wasn't lined up, so I had an issue. But that is what multi-tools are for. Fixed it trail side with a multi-tool, a needle nosed Vice Grip locking pliers, and a rock. Plenty of rocks out there, I didn't need to carry that in the hydration pack! Then I got lost. Yup. It's always a good ride when you get lost, right? Well, I've been on this loop several times and things started not looking right after a few "detours" laid out by someone. Then I got re-directed up a steep ridge side and once on top, I picked up another clearly seen trail leading upward. Well, that started snaking around this really exposed section that I had no recollection of. Let me tell you- exposure burns some permanent memory in my synapses. If I'd have ridden this before, I'd have totally remembered it, but it had no familiarity to me at all. I wondered if that was the high end of the park, and if so, where was the jeep road leading back to the same area? I couldn't see it at all. With nothing at all jiving with past memories, and me being on a limited water supply, I figured I'd better see what that barricade/gate was, and get my bearings. Besides that, it was leading me closer to my start than the other way. I rode a bit, but soon it became apparent that this was too steep to ride, and I hike-a-biked up to the point I had spied out. All was well. It was right at the upper end of the park, but the missing jeep road was still a mystery. Oh well! I had some nice down hill trail to shred back to the car, so I did that instead of solving the mystery. I know it seems to be me harping on how tough these trails are, but even I forget, and I was reminded again how difficult this mountain is to ride. The rocks are just brutal. There is zero flow, and you are "rock crawling" for a lot of the first sector, (when you find the first sector!). I got derailed onto stuff I had never ridden before and it was just difficult, slow work. Not that it wasn't fun, but it takes an entirely different mindset to ride those trails, I think. Nothing about riding in the Mid-West really works out here. But there wasn't much of this! In the end it was a fun day on the bike, despite the issues, one more of which was a loose head set, by the way. Stopped and fixed that up right quick. But I bring that up to say that if any bike has a weakness, the trails of Franklin Mountain will find them out right quick. I may get another chance at spending some time out there again before I pack up for home. If so, it'll be a different experience again, as I'll be on the hard tail and single speed at that. I know one thing, if I lived out here, I would be riding an entirely different mountain bike than what I usually get to bring down here. I still have never brought the "right bike" to this place. One of these ol' days maybe that will work itself out, but for now I will be satisfied with just getting out there and spending some time in this very unique, hardscrabble area for mountain biking. Gearing: Ask a single speeder what gearing is best, and it might spark some mild debate, but ask a 29"er freak about gearing and you may be in for a long rant on the disparity between gearing for 26"ers and 29"ers. I found out about that from a recent post we put up on Twenty Nine Inches recently, (seen here). The thing is, what is 29"er gearing? I don't have any clue, since the comments I read are all over the place as to what folks think that is. Some want super low gearing. Some want triple crank sets for the widest range of gearing, and still others are saying a 1X set up is all they will ever need. What about me? Well, I never have liked the front dérailleur. 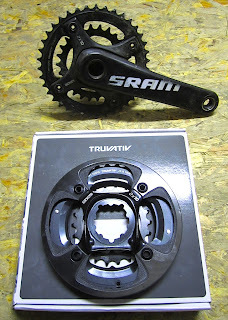 I will say that Shimano's and SRAM's latest have gone a long way in impressing me though. I also will say that a lot of what I ride can be done on a 2X set up hear on my local trails. That doesn't mean I think it is perfect at all. Probably the coolest set up I have ridden is the new DynaSys 10 speed. The thing that makes it work is not what you would expect at all though. 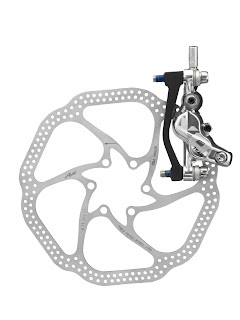 Shimano actually identified something I wish was focused on more than it is, or seems to be. Road riders have identified an advantage in close ratio cassettes, and actually, that's been the case for that discipline for a long time now. However; in the case of mountain bikes, it wasn't possible to have a close ratio and a wide range of gearing with only 15 speeds, so jumps between gearing were big. This persisted throughout the modern mountain bike's development up until recently. Shimano realized that tightening up the jumps between cogs meant less loss of momentum and less rider fatigue due to a lower cadence when shifting to higher gears and a cadence that was too fast when switching to lower gears. They fine tuned DynaSys to help eliminate this, and to my mind that was the major selling point to me for the new 10 speed group. I found there was less shifting between cogs up front, and when you did, you only had to readjust one, maybe two clicks in the rear to accommodate your cadence. I found the tighter ratios in the middle of the rear cassette to be gold for me on longer, grinding climbs when you could find a gear that was "just right". Is DynaSys my perfect set up then? No, it is not, but to my mind the way Shimano is thinking about mountain bike gearing is making sense to me more and more. I just wish that Shimano would give the riders that low, low gear some are wanting, but Shimano has never really been about low, low gears either. I don't expect to see a change there. Maybe an "ala carte" system similar to Surly's "Mr. Whirly" cranks, but without the weirdness that crank set has would be the ticket. Then make a cassette with user customizable ratios and we'd have everyone covered. But whatever the "perfect 29"er gearing" is, I'm sure it won't be available anytime soon. That is something you can take to the bank! Here are some images I took of the trip down here. Not much to say so far since, well........I am on vacation! Deep thoughts and ramblings about bicycles can wait. Here are the pics so far, I hope you enjoy these. Once again, I will forewarn you that all these were taken with a cheesy point and shoot while Mrs. Guitar Ted was driving at a high rate of speed. No apologies. These are the ones I like out of the ones I took. We had driven almost all day in a fine rain, and at about the 11th hour in the car, the sun started breaking through, which lent a surreal look to the landscape of Western Kansas. As I stated, the Great Plains doesn't feature much in the way of "vertical", so when you see a tree, or a grain elevator, they really stand out. Both are featured in this photo. I try to imagine living out here and riding bicycles. I have to admit that I would find myself missing the rolling hills of Iowa, but this vast horizon is really impressive. Soul crushing comes to mind. This image is probably my favorite of day one. I've been trying to get a good image of this Union Pacific bridge over the Cimmaron River for years. This past Sunday I got it. I'll not ever take another stab at this. I really was happy with getting the sunlight of the fading day how I did. It was a perfect day Monday for taking images, unlike most of Sunday. I don't think I've ever gotten such a clean, unadulterated view of the mountains here. By the way, these images are straight outta the camera. No processing whatsoever. The two days of travel couldn't be more polar opposite. Great Plains vastness and flatness on Day One, then the majesty of the mountains and the loneliness of the Southwest on Day Two. Towns are few and far between out here. There are few crossroads. You really get a much more remote feeling out this way, but it is getting more sanitized by the year. When Mrs. 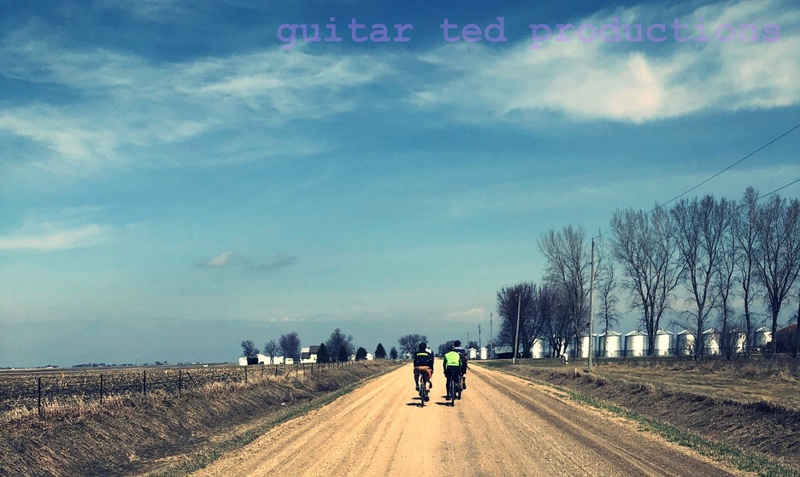 Guitar Ted and I first trekked down HWY 54, it was all two lane. Much like Route 66, only more remote, more unknown, more adventurous. But now even way out here they are putting in more and more 4 lane highway. Not a big deal to some, but it isn't like it was. I'm glad I got to experience it that way first, the more rustic, vegetation right up to the edge of the road, no shoulders way it used to be. Marathon driving wasn't something I wanted to aspire to as a kid, but somehow I got roped into it. Early on in my life, I was the guy that drove the Buick with the 16 foot aluminum boat stacked to the gills with gear 250-300 miles up north every year, then drove said boat all over for a week, and then helped pack it up and drove back every year for over a decade. Then I met my wife, who being from El Paso, Texas, wanted to have me meet her parents. That entailed my first and only straight through 1350 mile drive in 24 hours. A near death experience I didn't ever want to reapeat. Of course, we've done several more of those trips since, using two days. Then let's not forget all the Trans Iowa recon miles and events which have been done in the past eight years as well. Plus some other zany multi-hour road trips. So, like it or not, I have honed some chops as a driver. One thing that never changes though is how exhausted and brain drained I am afterward. Yeah, I made it down and my brain is cooked. So this is the post people. Bikes have been downloaded and riding should happen soon. I do have a disappointing note for "mw" though, as I had to bring two rigs for TNI testing, so the fat bike stayed home. I know! I am disappointed too, but this chance to do some serious tough testing can not be passed up. The terrain here is tortuous on bike parts and bikes. The road trip has begun and today, as you read this, I will be somewhere off the grid in the Southwestern U.S. It's all part of my somewhat annual trip to El Paso, Texas to see my wife's parents, brother, and sister. 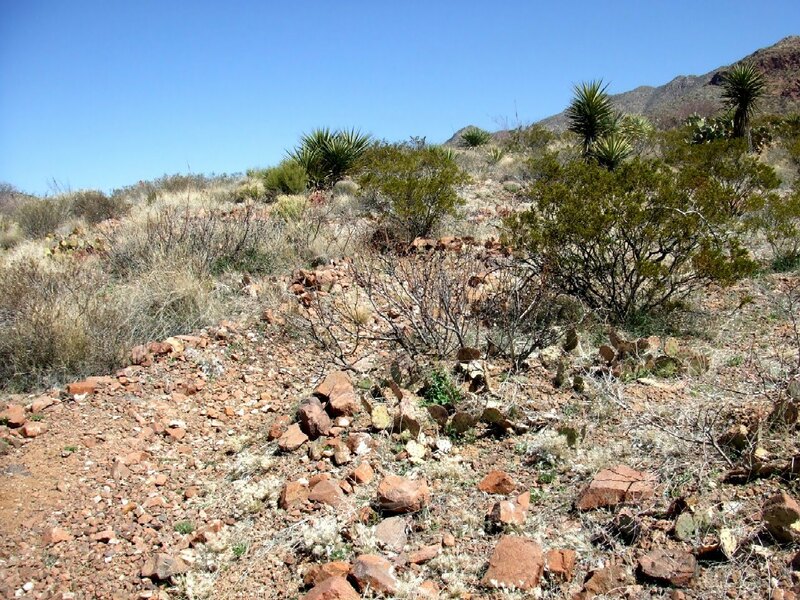 Along with that I slide in a couple of rides in the Franklin Mountains. Time driving 22-24 hours. Split between two days. 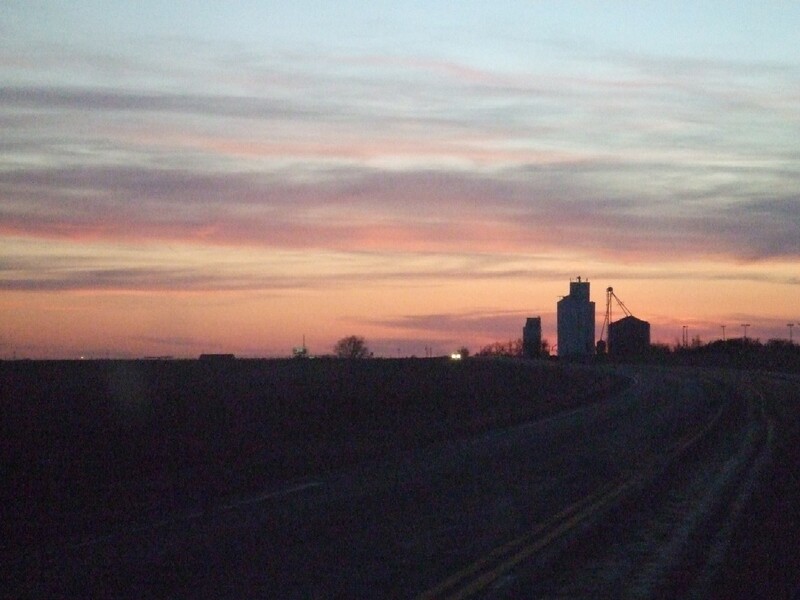 I know a lot of folks would just hate the thought of driving across Kansas, but you should try it sometime. Especially timing it so you get to the western side at nightfall. The sunsets are always spectacular out that way. Big, wide open territory. I don't mind a bit to drive through, but what I can not imagine is what it must be like to live out here on the Plains. The unbroken horizon, the flattish terrain, and near lack of anything vertical besides the few trees and the ever present grain elevators that pop up about every ten miles. Hopefully today will be the polar opposite experience: Mountains. Yes, the terrain gets pretty spectacular where I am going today. NAHBS: So, What Did You Think? Is Someone Waking The Sleeping Giant?